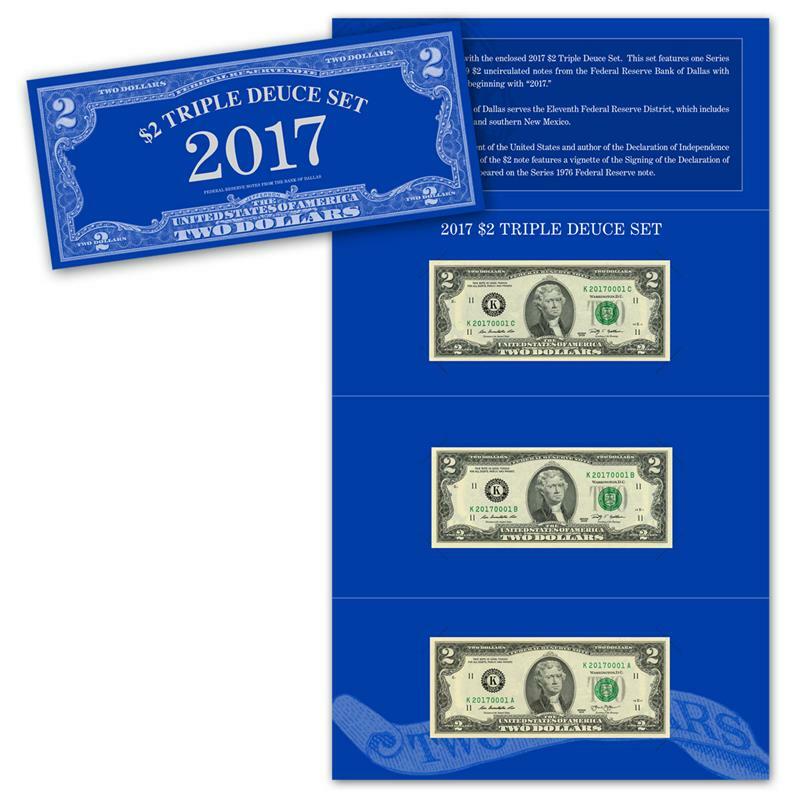 First Day of Sale: June 14, 2017 (8:00 a.m., ET) — The Bureau of Engraving and Printing (BEP) is pleased to introduce the 2017 $2 Triple Deuce Currency Set. The set features a Series 2013 and two Series 2009 $2 uncirculated notes from the Federal Reserve Bank of Dallas, with matching serial numbers beginning with 2017. This set is attractively packaged in a tri-fold folder and each note is protected by a clear, acid-free polymer sleeve.